Shah Rukh Khan, who is looking forward to the release of Zero, is busy with the film's promotions. The 53-year-old actor was spotted at the Mumbai airport on Tuesday. 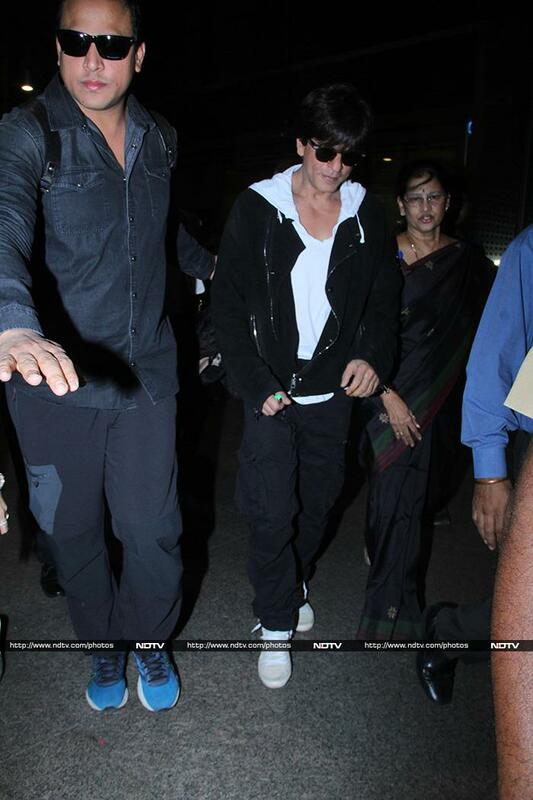 Shah Rukh Khan quickly made his way through the airport. Anushka Sharma, who co-stars with Shah Rukh in Zero, set major airport fashion goals with a denim-on-denim look. Anushka paired a long denim jacket to go with her casual look. Meanwhile on Wednesday, we also spotted Priyanka Chopra's husband Nick Jonas, who touched down in Maximum City in time for the Mumbai receptions. Shraddha Kapoor, that's such a pretty smile! The thigh-high boots are out for Daisy Shah. Oh, look, we also spotted Kartik Aaryan at the airport.